*ReGenica is an advanced skin rejuvenation system consisting of three individual products that are designed to work together to help restore your skin to a healthier, more youthful appearance. *See the results for yourself! 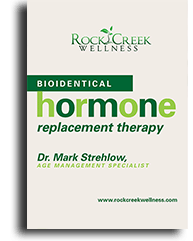 Contact Rock Creek Wellness at 913-727-7700 today! (ReGenica Advanced Rejuvenation Day Repair is formulated to reduce signs of aging such as fine lines and wrinkles. The complex may help to repair skin damage caused by daily exposure to sun, irritants and pollutants, and restore vital moisture. ReGenica Day Repair contains SPF 15 to reduce the risk of harmful ultraviolet sun exposure, providing a gentle shield for your skin. *ReGenica Advanced Rejuvenation Overnight Repair is formulated to restore moisture to the skin overnight, and may help repair the appearance of past damage caused by exposure to sun and pollutants. *In a 10-week physician-based clinical study, patients utilizing ReGenica Day and Overnight Repair experienced increased moisture, a reduction in the appearance of fine lines and wrinkles, smoother texture, and more even skin tone. *ReGenica Facial Rejuvenation Post Procedure Complex is designed to help restore moisture and promote healing of damaged skin following procedures such as phototherapeutic laser, dermabrasion or chemical peels. *ReGenica contains a highly potent, unique variety of proteins and growth factors that mimics qualities of young skin and may bring your skin back to its healthy state faster. *In fact, in a clinical study, patients using the ReGenica Facial Rejuvenation Complex experienced a more rapid recovery as early as 3 days after their laser procedure than those who did not use ReGenica. Contact Rock Creek Wellness at 913-727-7700 today to learn more and see the results of ReGenica for yourself!